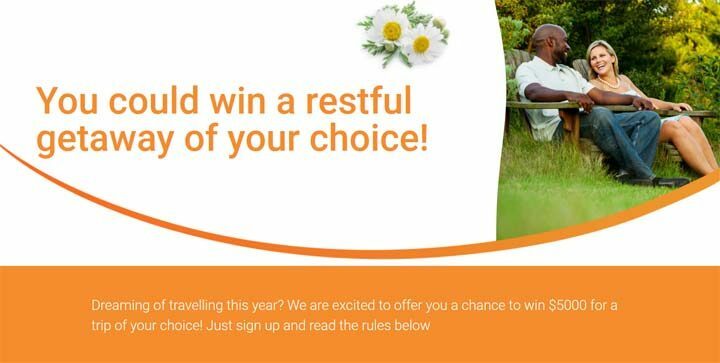 The VitalAire Relaxing Getaway Contest is open to legal residents of Canada who are over the age of majority in their respective province or territory of residence. The VitalAire Relaxing Getaway Contest ends at 11:59:59 p.m. ET on March 1st. No purchase necessary. Purchase two (2) Sleep Essential CPAP Mask Wipes with Chamomilla from any VitalAire branch and you will be automatically entered into the Contest; or go to vitalaire.ca/getaway and complete the mandatory information on the sign-up form. There is one (1) prize available to be won consisting of a $5,000 cheque payable to the Contest winner.